Esta Jane was the daughter of John Henry Ford and Jerusha Duncan of the Green Sulphur Springs/Elton area of Summers county. She married Joseph Everette Gwinn on 10/06/1904. She died six days after giving birth to their only child, Esta Gwinn who married Andrew Coleman Hank and lived in Hinton,WV. after an illness of a week or more. the late home Saturday afternoon. Note 2: Esta J. Ford was first wife of Joseph Everett Gwinn ( Son of William A. Gwinn). Joseph Everett Gwinn remarried on Nov 24, 1909 to Florence Sweetwood. They had one daughter named Verna Brent Gwinn (Born Jan 13, 1911). Brent Married Curtis Burdett. 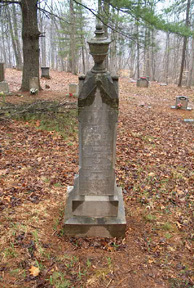 Joseph Everett Gwinn & Florence Gwinn have been moved to another cemetery.